In 2014 we decided to throw caution to the wind, quit our jobs, give up the rental we’d lived in for three years and take an extended honeymoon in the south of France. We were both unsatisfied with our lives at the time and we thought that a long break would give us the opportunity to set ourselves in a new, more satisfied direction. Well, by the time we permanently landed back in the UK about nine months later our lives were definitely headed in a new direction, with our duo set to become a trio in March 2015. 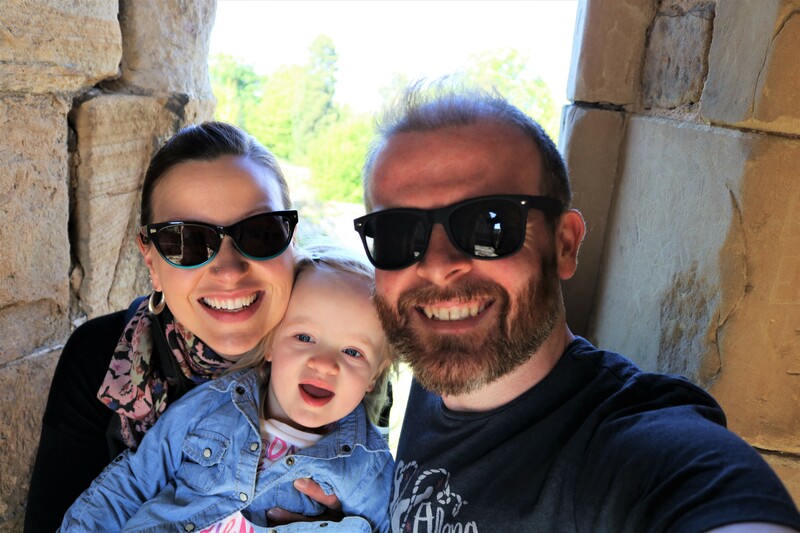 Two years on and we’ve done an awful lot of travelling with our little girl, but surprisingly we had never taken a family holiday just the three of us, that is until last week when we headed back to the south of France, en famille! We had a lovely family break, even with a bit of crap weather, but we definitely learned a few things about travelling as a family along the way. We’re always learning new things with this parenting gig, and this holiday was no different! One thing we’ve learned when travelling with kids is that it’s best to eliminate as many variables as possible, which is one of the reasons we decided to return to the same area of France, the charming town of Pézenas in the south-west of the country. While exploring a new area is definitely one of joys of travel, sometimes knowing what to expect is also nice. We knew that there was lots to see and do in this area of France, but knowing that we had done lots of local exploration previously meant that we didn’t feel like we needed to jam-pack every day full of activities. A bursting schedule, plus a toddler does not equal a relaxing family holiday! This is a do as I say, not as I do situation. We were fool-hardy enough to actually trust the weather forecast before we left and thought we’d be spending most of our family holiday on the beach. Unfortunately, it changed from being a week of predominantly sun, to a mixed menu of sun, rain, clouds and wind. Being trapped in holiday accommodation with a toddler is fun for no one, but the south of France isn’t really a place known for its indoor attractions. Thankfully we found an awesome indoor swimming centre in nearby Agde and it really saved the day! We would definitely recommend Archipel la Cité de l’eau if you’re in the same situation as us while in the area. It was the best 10 Euro we spent the whole week! If you frequent travel blogs, as I do, you’re likely to come across a bit of packing bragging. Maybe that family of four can pack everything they need for a week-long holiday in a carry-on suitcase, but I sure as hell can’t! I’m not an over-packer, but I like to have what I will realistically want and/or need while away, and this has become even more important when travelling with a child. I don’t want to spend my holiday running around shops trying to find something that I could have easily brought with me, like extra clothes, medicine, or activities, and end up paying through the nose for it. You also want to make sure that you’ve brought the things that you know will make your holiday the most comfortable and successful for YOUR family. Every kid has their own little quirks, for example mine is a fussy sleeper and a distracted eater. She sleeps and eats great, but she has to be contained in some kind of a chair while eating or she’ll just run away and her bedroom has to be pitch black for her to sleep. These two quirks mean that we went to France with a travel booster chair and a travel blackout blind. They are bulky and other people probably think they are ridiculous things to lug on holiday, but they are important for our comfort so along they came! If you’re a regular visitor to this blog you’ll know that we are quite well-travelled people. We have been travelling the world as a couple for the last ten years, so this family travel lark has been a pretty steep learning curve. Before we started travelling with a kid we would start our days of exploring mid-morning, walk for hours, and generally head back to our accommodation not long before heading to bed. Unfortunately, this schedule is not compatible with our toddler. Glass of wine before conking out watching Netflix in bed! Travelling with a toddler is nothing if not glamorous! When in doubt, go to the beach! What is it with kids and the beach?! Our girl would have happily built sand castles, hunted for treasures, and dipped her toes in the chilly Mediterranean Sea all day, every day. I shouldn’t really be surprised because she loves all forms of water, whether it’s a sink full of soapy bubbles, a public swimming pool, or a muddy puddle, but her love for the beach was a joy to see. This kid is well and truly a water baby, just like her mama! Travelling with a toddler isn’t always an easy undertaking; they have short tempers, short attention spans, and are generally selfish little so-and-so’s. That being said, travelling with a kid can be a wonderful experience. They find wonder in the simplest of things and can really encourage you to see the world around you in a different way. Every time we travel with our daughter we learn something new to make the next trip run a little smoother and be a little more enjoyable for everyone, and this most recent family holiday in France was no exception. What are your favourite family travel tips? Share them in the comments below! « On Blue Moods, Blue Monday, and Being Blue Lighted…..